Washington : US President Donald Trump is to meet North Korean leader Kim Jong-un for a second summit by the end of February, the White House has said. The announcement came after Trump met top North Korean negotiator Kim Yong-chol at the White House on Friday, the BBC reported. He had been expected to deliver a letter from Kim Jong-un to Trump. Little progress has been made on denuclearization since their historic summit in Singapore last June. No venue has been announced for the new summit. Speculation is mounting that it could be held in Vietnam. Kim Yong-chol's visit to Washington is the first sign of movement in nuclear diplomacy with North Korea for months. It is not clear what the reported letter from Kim Jong-un contained. But it was expected to lay the groundwork for another summit, our correspondent adds. 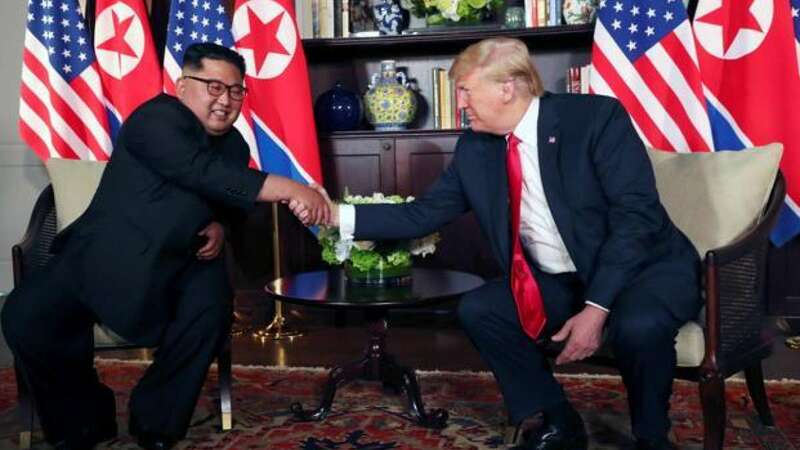 Trump said he was looking forward to the talks. His press secretary Sarah Sanders said after the White House meeting that progress in the talks on denuclearization continued, but added: "The US is going to continue to keep pressure and sanctions on North Korea."